New images from Rosetta show that an 800-mile-long (1,300 kilometers) cloud of dust, known as a coma, has sprouted from the core of the comet 67P/Churyumov-Gerasimenko. Rosetta's scientific imaging system, OSIRIS, captured views of the coma in photos that were taken between March 27 and May 4 and released by the European Space Agency on Thursday. Rosetta is still 1.2 million miles (2 million kilometers) away from the comet. But in just a few months, the spacecraft will be inside 67P's dusty cloud, accompanying the icy wanderer on an unprecedented journey to the inner reaches of the solar system. 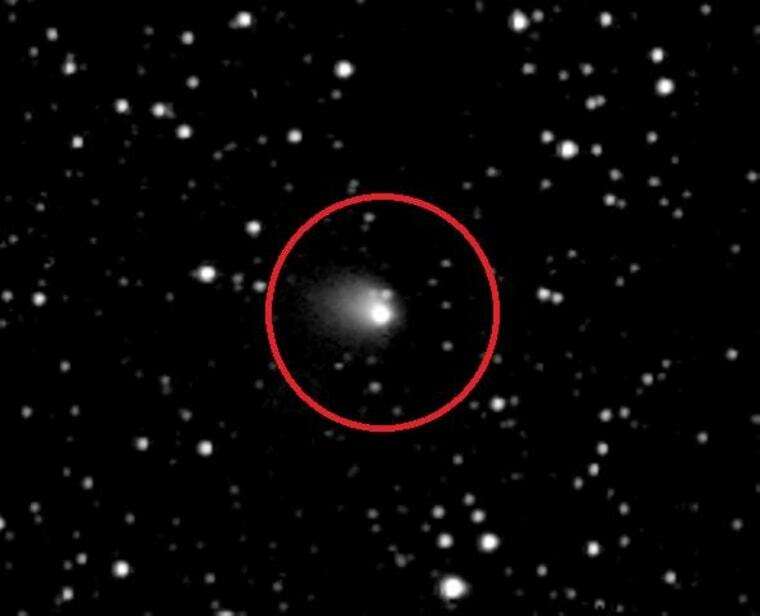 The spacecraft is set to arrive at the comet in August. The comet orbits the sun every 6.5 years. As it gets closer to the sun, the icy body starts to heat up; its surface ice sublimates and volatile gases laced with dust particles are released from its nucleus, creating a long dirty cloud that trails behind the comet. The new images of 67P show that it's starting to warm up. The photos also helped scientists refine their estimates of the comet's rotational period: 67P spins around once every 12.4 hours, approximately 20 minutes less than previously thought. This is a condensed version of a report from Space.com. Read the full report. Follow Megan Gannon on Twitter and Google+. Follow Space.com on Twitter, Facebook or Google+.